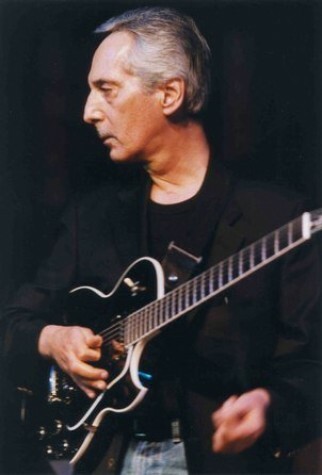 PAT MARTINO began playing jazz guitar professionally at the tender age of 15. He picked up the guitar at the age of 12, and he quickly took to the instrument, drawing inspiration from fellow student John Coltrane. Over the years, Martino drew inspiration from those he played with including, Bobby Rydell, Frankie Avalon, and Bobby Darin. At that point, Martino moved from Philadelphia to Harlem to fully immerse himself in the jazz world. The Montgomery Brothers had a very strong impression on Martino. The organ trio concept had a profound influence on Martino’s rhythmic and harmonic approach. and he remained in that idiom as a sideman, gigging with Jack McDuff and Don Patterson. An icon before his eighteenth birthday, Pat was signed as a leader for Prestige Records when he was twenty. His seminal albums from this period include classics like Strings!, Desperado, El Hombre and Baiyina (The Clear Evidence), one of jazz’s first successful ventures into psychedelia. In 1976, while performing internationally with his fusion group “Joyous Lake” Martino began experiencing seizures, which were eventually diagnosed as AVM, a condition he was born with. In 1980, Martino underwent surgery following a nearly fatal brain aneurysm. The surgery left him with amnesia, and no memory of the guitar and his career. He recovered with the help of friends, computers, and old recordings. He resumed his career when he appeared in 1987 in New York, a gig that was released on a CD with an appropriate name, The Return. He then took another hiatus when both of his parents became ill, and he didn’t record again until 1994, (after their death) when he recorded Interchange and then The Maker.